These presentation slides 33180 are complete compatible with Google Slides. Simple download PPTX and open the template in Google Slides. White Paper Shapes with Colorful Marks will be right choice for presentations dedicated to educational process in school, college, institute, etc. 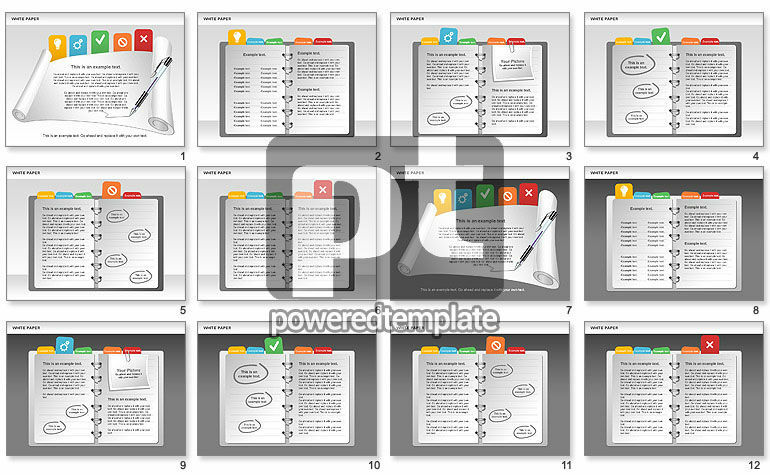 Also you could use it for presentations on task management, time management, to do list, etc.